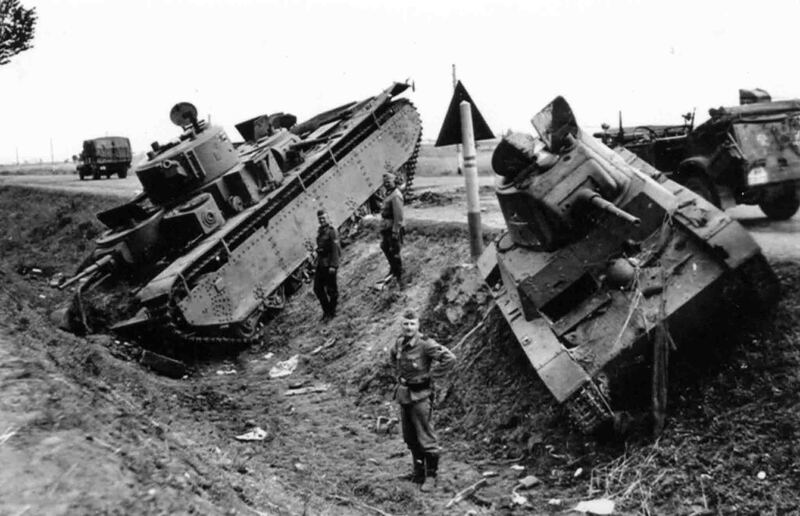 Abandoned Soviet armored vehicles – the T-35 multi-turret heavy tank of the 1938 release and the T-26 series light tank of the 1940 release. The photo shows two white stripes – a tactical sign of the 67th tank regiment of the 34th Panzer Division. June of 1941.